[Lipglosseater]: And i'm off to Indiyah again! 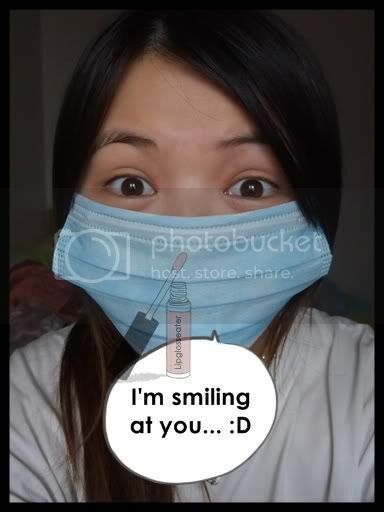 you are wearing it correctly..LOL after I checked with my hubby, coz I remembered using this almost the whole day when I was at the hospital with mom! Enjoy you're trip! thanks in advance for the scheduled post! you look too cute! You look so cute! Enjoy your trip! ok..1st thing 1st..yup,the mask is worn correctly..but i suggest u use the wired part to mould to ur nosebridge for better comfort.